The Pennacook Confederacy included as many as 18 sub-tribes of the same general stock. The main tribes were the Agawam, Wamesit, and Nashua in Massachusetts; the Souhegan, Amoskeag, Pennacook, and Winnipesaukee in New Hampshire, and the Accominta in Maine. 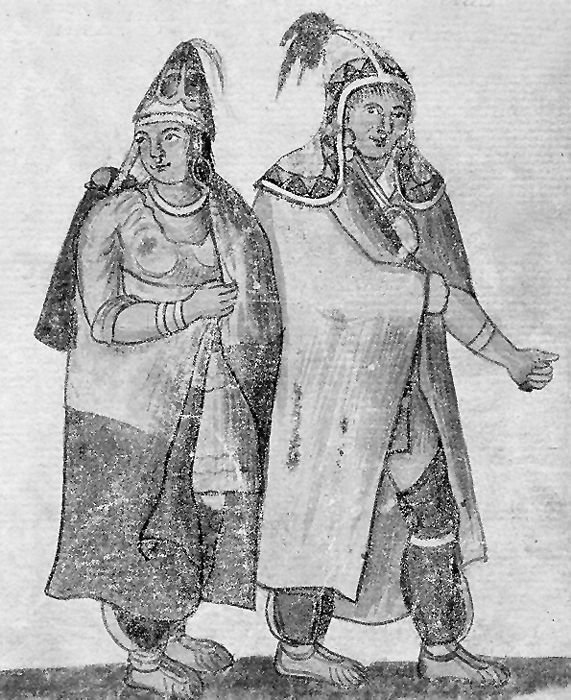 In language and lifestyle, the Pennacook were virtually identical to the Abenaki in southern Maine. But in 1620 the Pennacook were a large, independent confederacy which tended to view their Abenaki relatives to the north as enemies. The Pennacook people were primarily fishers, farmers and hunter-gatherers who first lived in birchbark wigwams. Later, however, as inter-tribal warfare increased, they built fortified villages of longhouses. The Pennacook women cultivated varieties of maize, corn, and squash along fertile river beds. They were first encountered by Europeans in 1524 when Giovanni da Verranzano led a French expedition to explore the East Coast of North America looking for a route to the Pacific. Though they had little direct contact with Europeans in the 16th century, they were affected by European illnesses in the 1560s and typhus in 1586. These epidemics took their toll on the tribe by spreading rapidly with deadly consequences. In the 1600’s the French established New France in Canada and the English settled in Maine, Vermont, New Hampshire and Massachusetts encroaching on Pennacook lands. With their villages located inland on the Merrimack River, the Pennacook had little direct contact with Europeans before 1620. However terrible diseases such as typhus, smallpox, measles, influenza, and diphtheria raged through New England, killing nearly 75% of the Pennacook people. Regular contact between the Pennacook and English began shortly after the settlement of Plymouth, Massachusetts in 1620. At that time, the Pennacook numbered about 2500 people. For the most part, these first meetings were friendly and Chief Passaconaway, who ruled from his capital of Naumkeag at the falls of the Merrimack River at present-day Manchester, New Hampshire urged peace with the English. In 1629, Passaconnaway signed a formal treaty of alliance with the colonists and sold them some land. However, over time, the English grew more suspicious of Native Americans and after the Pequot War in 1637, the English became increasingly arrogant and demanding. In 1642, following an unproven report in Connecticut regarding animosity by tribes not directly related to the Pennacook, the English sent out men to arrest some of the principal Indian chiefs. Forty men came after Passaconaway but couldn’t find him. Instead, they took his son Wonalancet as a prisoner. 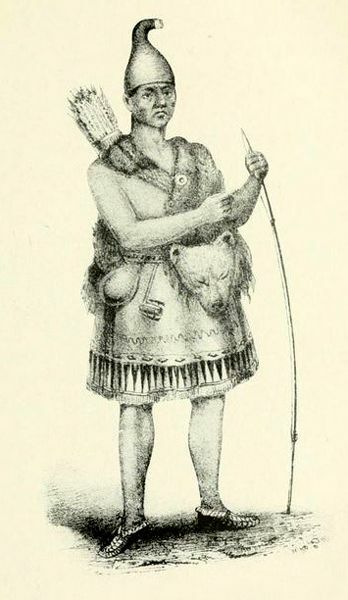 Wanalancet was held as a hostage for two years and released in 1644 after Chief Passaconaway signed a treaty of submission on behalf of his confederated people to Massachusetts. The incident soured Passaconnaway on the English, and afterward, he kept his distance from them. 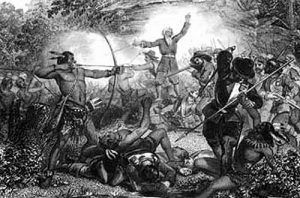 In 1650 the Mohawk, who were allies of the English, began attacking Western Abenaki and other Algonquian tribes including the Pennacook. In the meantime, the Pennacook had been hit by more epidemics and by 1660, its population had dwindled to 1200 people. In 1675, the Pennacook joined in King Phillip’s War in protest of the continued English encroachment on their lands. Fought in the colonies of Connecticut, Massachusetts, Rhode Island, New Hampshire, and Maine, nearly one-third of America’s white population was wiped out and thousands of Native Indians died. By 1688, the French and English were fighting bitterly for control of the lands in North America. The Pennacook were allied with the French who were ultimately defeated by the English. These conflicts along with inter-tribal wars resulted in the dispersal of the remaining Pennacook people who, by the end of Queen Anne’s War in 1713, had been largely absorbed into the Abenaki tribe and most relocated to Canada. 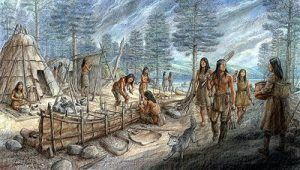 Today the Pennacook are no longer a distinct tribe, but many of their descendants can be found among the Abenaki people who continue to live in New Hampshire, Vermont, Maine, Massachusetts, and Canada, ancestors.